← How do we sustain lasting change? 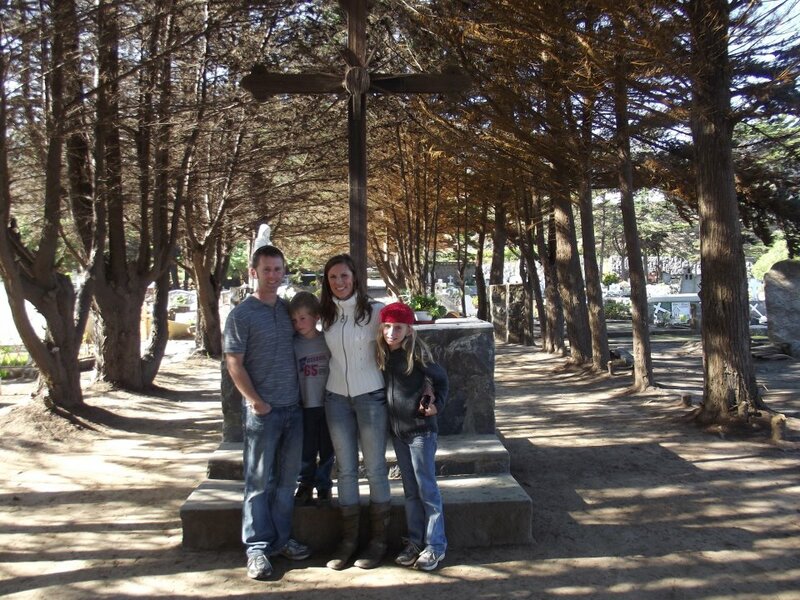 My family was fortunate enough to live in Papudo, Chile over the summer of 2012. It was definitely a challenging adventure. Papudo is a small fishing village that thrives on tourists from Santiago in Chile’s summer months. It’s also one of the most beautiful places I have ever seen. We have good friends there, who were close to the recent earthquake epicenter and its repercussions. They are all safe from what we hear, but they, and this gorgeous country have been on my heart and in my prayers this week. So, today’s post is in reference to five things I love most about Chile and it’s culture. 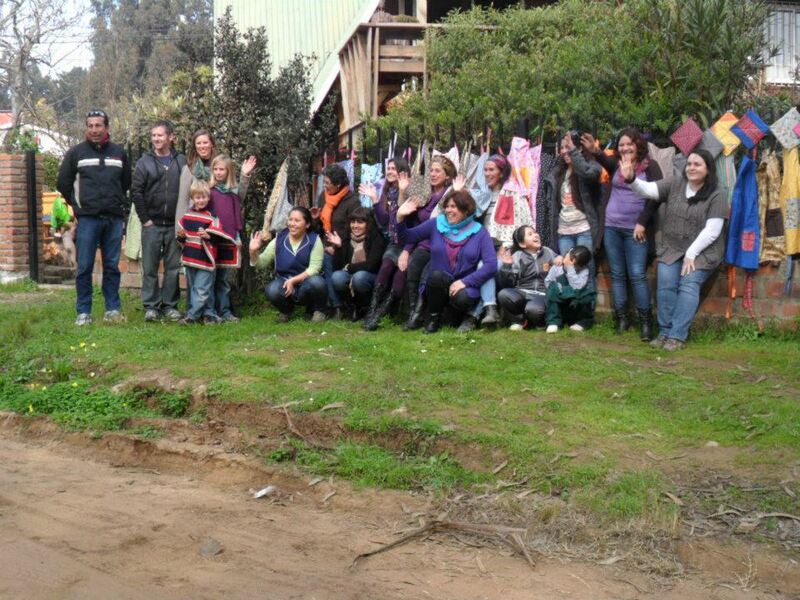 This amazing family is the one who introduced us to Papudo, Chile. Caleb (father/husband) is a Chilean native. He and his wife, Tracy, met in Spain where they both worked at a Christian camp. They married, had three incredible boys (Benjamin, Aaron, and Oliver), and moved to my hometown some years later. They are fun, adventurous, selfless, kind, and generous. 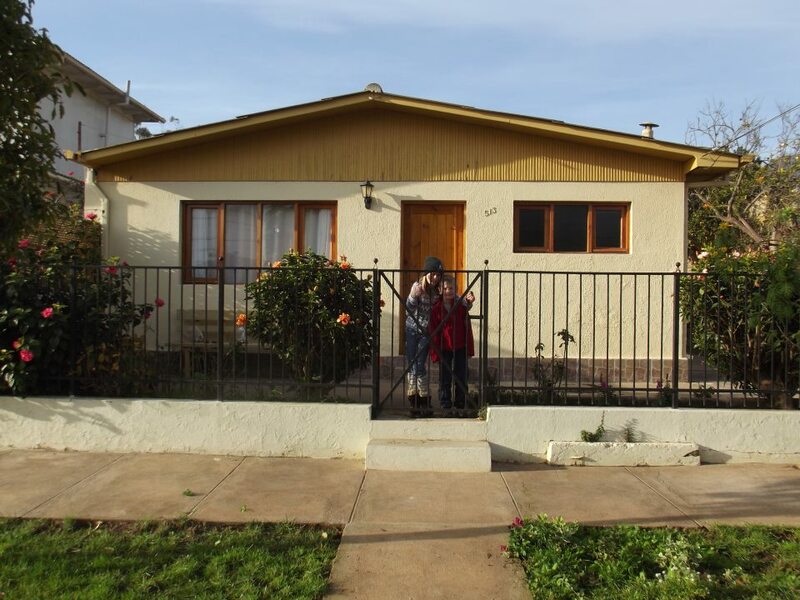 When Caleb inherited his parents’ home in Chile, the family felt called to begin a ministry for single moms there, teaching them various vocational skills. They converted the home’s basement into a workshop for the artisans, and to date, have taught a varying group of women silver-smithing and jewelry-making, baking, sewing, felting, quilting, and weaving among other crafts. 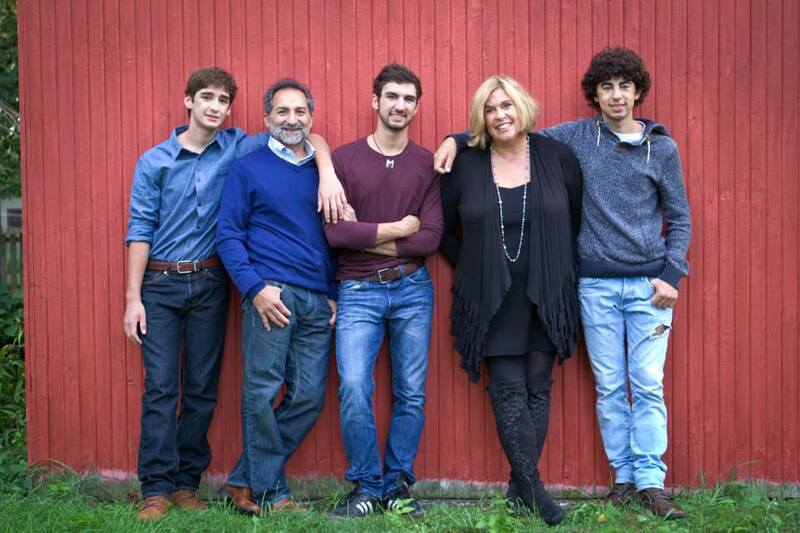 This family also leads Bible studies in their home, and the two boys still in high school have built relationships with the children in the neighborhood. They live there full-time now, and we miss them dearly. This is a group of women we met that summer and some of their family members. That summer, I helped Tracy teach these women how to bake (they don’t really have cookies, muffins, and pies like ours), and how to sew aprons, hot pads, and purses. You can see the aprons hanging on the fence in the background. These ladies welcomed me and my family. Talked to me (patiently!) as I tried to translate what they were saying. They gave my children gifts, cooked for us, and welcomed us into their homes on occasion. It’s incredible, and humbling, to be accepted so easily. It speaks to the open and kind culture of Chile, and to the relationships Tracy and Caleb had built with these families over the years. I miss them, and hope to see them again. This first picture is one of the photos I took after we’d gone hiking up a mountain with a local Chilean teacher. He was so proud of his town and his country and loved to share it with us. Jorge also taught us how to do the Cueca, the national dance, on a different day. We hiked several times with Jorge (once almost falling down the side of mountain, landing on a poisonous plant, encountering a scorpion, and learning about indigenous plants). The second picture is from another hiking adventure. One day, we hiked along the side of a mountain with Tracy, Caleb, and their family, for almost two hours. The path was usually only twelve inches wide (at most). We had the mountain peak to our right, and the ocean to our left as we walked. 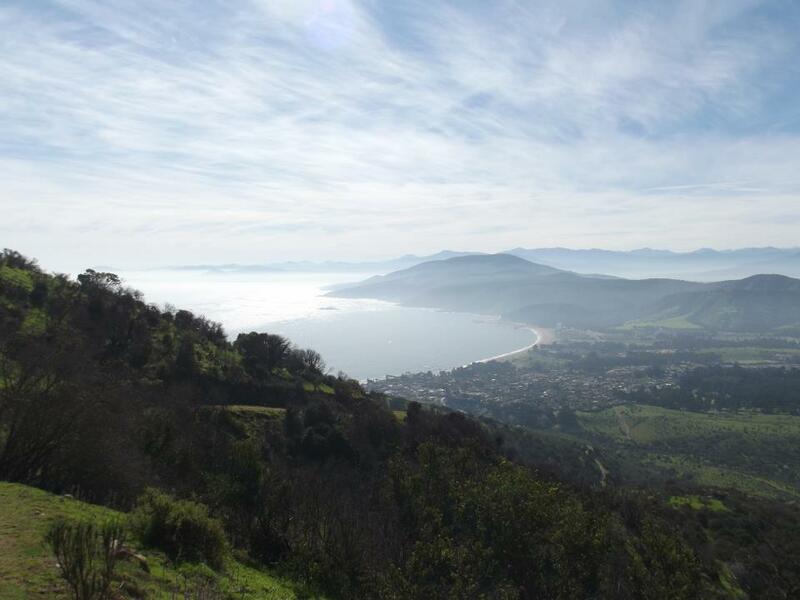 The hike alone was breathtaking, but the end point was beyond worth the physical exertion, and emotional trauma of hearing my two young children complain from it. We ended up on a very secluded beach. There were no footprints, just a wide expanse of soft sand. We carried in wood and food for a picnic on the beach, and spent the day lounging, playing games, and exploring the surroundings. Let’s just say that I could write three Five Friday Faves posts about the Chilean food alone. I love food, I love to eat, and I love to try new things. These pictures show only a few of the culinary delights that Chile has to offer. 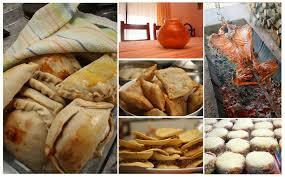 The first picture shows several, but the best dish features is the empanadas (little meat pies). I’ve had empanadas in Peru, as well, and while similar, they have some differences. In Chile, a typical carne empanada contains hamburger, onions, one black olive (pit included – beware), and a slice of hard-boiled egg. The result is mouth-watering goodness. 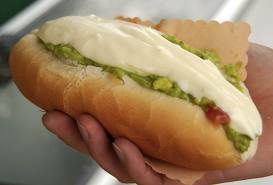 The second picture is a completo (hot dog smothered in mayo, avocado, and tomatoes). I don’t heap quite that much topping onto mine, but they are the best way to eat hot dogs, hands down. This is Chilean delicacy easily replicated in the US. 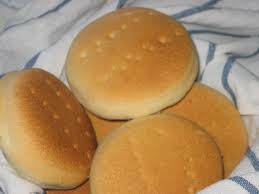 Of course in Chile, the hot dog buns are made fresh daily. No one would consider purchasing prepackaged buns from a store. Which leads to my last picture, hallullas. We would walk to the bread bakery daily (sometimes twice in one day) to buy fresh bread. They came in a variety of textures and shapes. Hallullas were my family’s personal favorites. We would eat them for breakfast, supper with cheese and turkey, or snack smothered in manjar (oh my, don’t get me started on manjar). Even with eating this much bread, I still lost weight while we were there. Probably due to the fact that we walked almost every where. We would walk to a local farmer’s market twice a week to get the best-tasting fruit we’ve ever had, and peppers the size of my head (no exaggeration). The produce was picked ripe and locally, giving a taste that we usually don’t get to experience in the US. I’ve made my own hallullas and empanadas, but they just don’t taste the same. People in Chile, whether you’ve known them for years of just met for the first time, greet you with a cheery “Hola” or “Hallo”, and an air kiss. We’ve traveled to Peru before, so we were prepared for the kiss. It’s the genuine kindness that accompanies it that is so refreshing. We were able to visit some nearby towns like La Ligua and Valparaiso, as well as spend a weekend in Chile’s capital, Santiago. This picture was from a stop between Papudo and Valparaiso as we drove along the coast. It’s a gorgeous cemetery. The deceased are buried three deep to preserve space. The mix between Catholicism, indigenous religions, and superstition is evident around the cemetery. This graveyard is high above the sea, however, with a jaw-dropping view over the side, looking down to the ocean. There are so many facets to the culture that we got to glimpse, and so many we didn’t, but we can’t wait to return to Papudo to experience more. I am an educator excited by the possibilities available. I am a teacher, administrator, consultant, trainer, copy editor, and more. I write about my own experiences as an educator and learner.